talk_to_the_paw, a photo by Sign Factory / Half Price Buttons on Flickr. Are you a dog lover? Are you doing a fundraiser for your four legged friends? 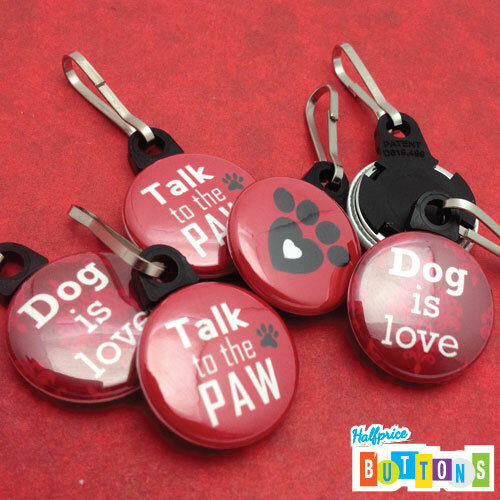 Sell custom zipper pulls for a profit of $2.00 each to help fund your service organization. Contact us for details on how to generate income from custom zipper pulls.